AmigoCloud believes that Geospatial Technology should be accessible everywhere by everyone. From the smallest company and town to the the largest cities and global corporations, using AmigoCloud allows them to use geospatial data and technology to make informed decisions. Our goal is to create the most advanced, geospatial platform in the world by leveraging the latest technologies, open data, and industry standards. AmigoCollect, our data collection product, allows our clients to easily and effectively collect and manage everything from pipelines to wildlife. Once the data is collected, it further allows them to integrate their geospatial data into their business intelligence and analytics. AmigoPlatform, our enterprise product, can be used to create custom geospatial applications for our clients. Utilizing our API's and the AmigoPlatform, our users can quickly and efficiently create business specific geospatial applications tailored to their individual business needs. We are reshaping the way people interact with geospatial information and to make that happen we are looking for a data-driven marketing specialist to help us catapult our growth. As part of AmigoCloud Marketing team you will directly contribute to the spreading process of AmigoCollect connecting with our potential clients and understanding their key motivations to interact with our product. Build marketing programs to support specific marketing objectives across different channels and segments in support of our overall strategic marketing plan. Lead the execution of marketing programs from start to finish, driving collaboration with the stakeholders and leveraging the right internal processes. Market through various channels and segment databases working with large data sets. Evaluate the impact of marketing programs in achieving their stated objectives, including impact on lead flow, LTV and retention. Work and lead creative teams, other internal stakeholders, and external agencies and vendors. Extrapolate market trends and patterns from data analysis and suggests opportunities. Maintains quality service by establishing and enforcing standards; training representatives; monitoring calls; surveying customers; evaluating outcomes. Keeps management informed by preparing reports; making presentations; interpreting information; making recommendations. Bachelor’s degree in marketing, business, communications or related field. +2 years of marketing expertise or MBA degree. B2B experience is a must. An excellent verbal and written communication skills in both English and Spanish. Competence as a creative writer with an eye for great emails and landing pages. Must be a confident team player who enjoys collaboration. Motivated self-starter with strong business acquity. Strong problem-solving ability, including metrics-driven thinking. Previous experience with softwares like Mixpanel, Salesforce, is a plus. AmigoCloud provides many perks. We allow for Flexible Work hours, paid vacation, good pay, a great team to work with, and lots of growth opportunity. Some people started working with us in Peru office and then moved to our US office. As long as you meet the requirements, we can also work toward bringing you to the United States, if that is in your long term goals. Our technology stack is large and varied. We work on everything from bare metal to cloud services. From small web services to integrating the latest open source libraries and technologies. Working at AmigoCloud allows you to interact with all parts of software development and work with the latest technologies. 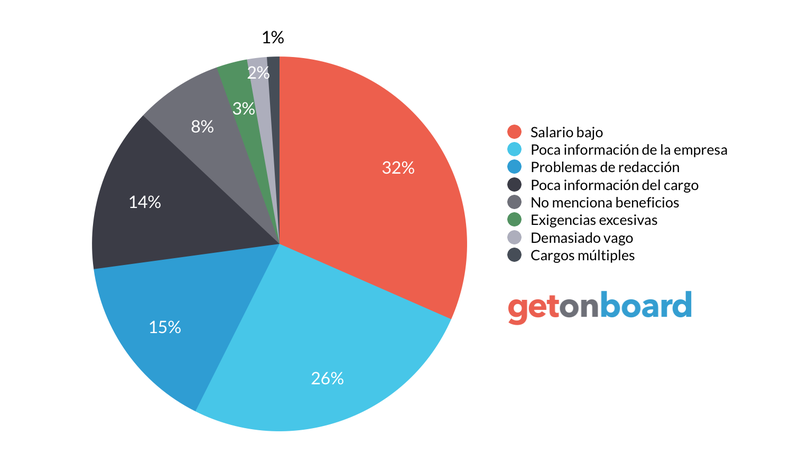 ¿Buscando empleos de Marketing Digital?